Mrs. F. A. Bee was not receiving guests. Chinese ordered out of Eureka, California. 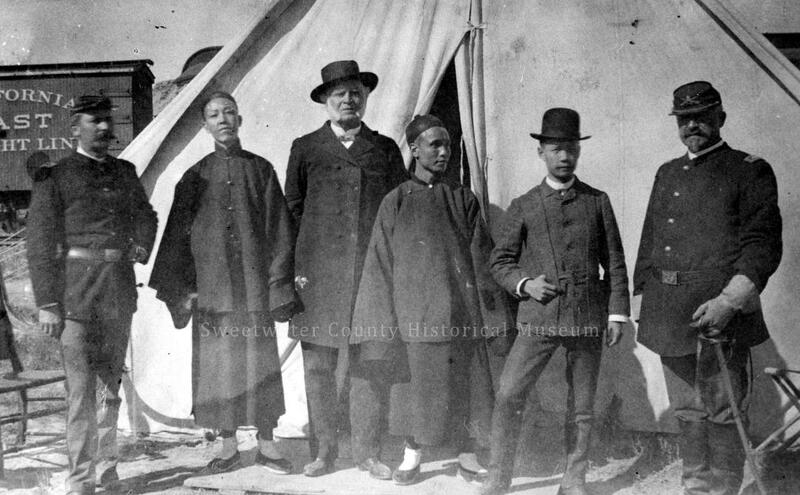 Chinese expelled from Chico, California. Bee and Bosqui were original incorporators of Sausalito. Meeting assembled to complain about Chinese and Consul Bee. Consul Bee represented violators of Cubic Air Ordinance. Consul Bee visited violators of the Cubic Air Law in jail. Mrs. F A Bee visited friends in San Jose, California. .Hing v. Crowley - Crowley won. F.A. Bee worked on the Soon Hing case. from "Chinese Habeas Corpus Cases, 1884-1893." Records of the U.S. Commissioners, U.S. Circuit Court for the Ninth Circuit for the Northern District of California. Record Group 21. New school for Chinese students to be opened on Stockton Street. Barlow Bee and wife hosted party for parents of Albin Starbird. Chinese children entered Chinese Primary School. According to the Twelfth Annual Report of the Occidental Board Woman's Foreign Missionary Society, 1885, "After Ms. Baskin had presented her annual report, her school was visited by Directors of the Board of Education and other officials, asking questions about how to obtain the scholars, how to teach and discipline them, etc. Soon after, four of her boys (and since then others) were taken into the public school. There, with a little brother and sister wbo lived away from Chinatown, and who have had American associates, made up the pupils for the first day in the public school annals of the Chinese. Their fathers were men of influence, and thought it their duty to give their sanction to this new effort for their education, at the expense of the State." This Habeas Corpus file included testimony from interpreters who interrogated a passenger on the Arabic. It is interesting because it described procedures used by Custom officials. Consul Bee explained his position about custom certificates. Mr. and Mrs. Bee visited John Bidwell in Chico. Colonel Bee and wife returned to San Francisco from Chico. Article in column 2 reported Morton's statistics. Consul Bee described proposed railroad in China. Mr. and Mrs. Bee traveled to Calistoga, California. Leland Stanford considered the establishment of a university in Calistoga. NOTE: Leland Stanford's wife became ill and the Stanfords remained in Santa Clara County, California. Senator Stanford purchased Calistoga Hot Springs. Consul Bee and lady attended large party. Mr. and Mrs. Bee left for Calistoga, California. Non-partisan group met with Charles Denby and Mr. Denby agreed to visit Chinatown. Charles Denby, new Minister to China, visited Chinatown. Minister Denby sailed for China. 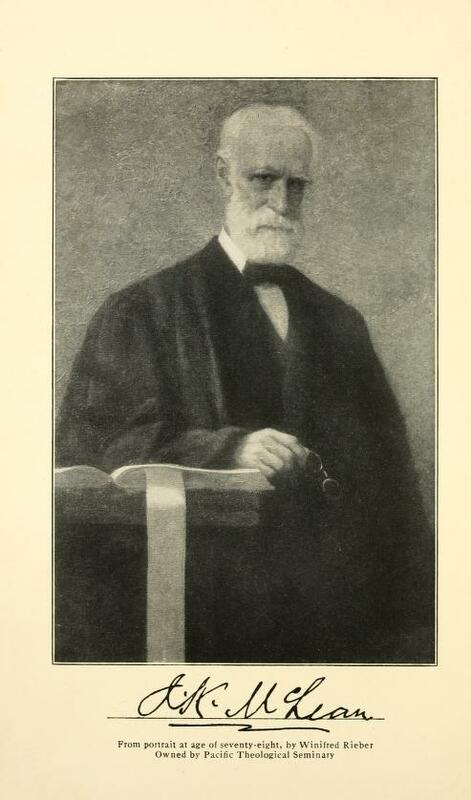 Judge Hoffman and Surveyor Morton commented on the effect of the Restriction Act on the court system. Consul Bee commented on adding photographs to certificates. Colonel Mosby returned from China to become attorney in San Francisco. Mrs. Frederick Bee visited friends in San Jose, California. Note: Barlow Bee, brother of Colonel Bee, lived in San Jose, California. Consul Bee ridiculed the idea of 4-year residency during appeals process for Chinese in letter to the editor. Excerpt from 1885 State of the Union address, "The harmony of our relations with China is fully sustained. In the application of the acts lately passed to execute the treaty of 1880, restrictive of the immigration of Chinese laborers into the United States, individual cases of hardship have occurred beyond the power of the Executive to remedy, and calling for judicial determination. The condition of the Chinese question in the Western States and Territories is, despite this restrictive legislation, far from being satisfactory. The recent outbreak in Wyoming Territory, where numbers of unoffending Chinamen, indisputably within the protection of the treaties and the law, were murdered by a mob, and the still more recent threatened outbreak of the same character in Washington Territory, are fresh in the minds of all, and there is apprehension lest the bitterness of feeling against the Mongolian race on the Pacific Slope may find vent in similar lawless demonstrations. All the power of this Government should be exerted to maintain the amplest good faith toward China in the treatment of these men, and the inflexible sternness of the law in bringing the wrongdoers to justice should be insisted upon. Every effort has been made by this Government to prevent these violent outbreaks and to aid the representatives of China in their investigation of these outrages; and it is but just to say that they are traceable to the lawlessness of men not citizens of the United States engaged in competition with Chinese laborers. Race prejudice is the chief factor in originating these disturbances, and it exists in a large part of our domain, jeopardizing our domestic peace and the good relationship we strive to maintain with China. The admitted right of a government to prevent the influx of elements hostile to its internal peace and security may not be questioned, even where there is no treaty stipulation on the subject. That the exclusion of Chinese labor is demanded in other countries where like conditions prevail is strongly evidenced in the Dominion of Canada, where Chinese immigration is now regulated by laws more exclusive than our own. If existing laws are inadequate to compass the end in view, I shall be prepared to give earnest consideration to any further remedial measures, within the treaty limits, which the wisdom of Congress may devise. " Jee Ah Loy shot Charles H. Bowers in Bakersfield, California. Colonel Bee informed that Federal authorities will be sent to Wyoming. 20th wedding anniversary party for Mr. and Mrs. David C Smith. Mrs. Smith was the daughter of Barlow Bee. Colonel Bee arrived in Ogden, Utah on Rock Springs, Wyoming. Colonel Bee headed investigation into Wyoming massacre. Colonel Bee left San Francisco for a couple of weeks. This webpage has a link to the complete record. Colonel Bee passed through from the East to San Francisco. Colonel Bee returned to San Francisco and discussed Wyoming Massacre. Colonel left San Francisco on September 14, 1884. THE WYOMING MASSACRE. Americans Had Nothing to Do With It. "Colonel F. A. Bee, resident consul for China at San Francisco, has returned to that place from an investigation of the Chinese massacre at Rock Springs, Wyoming. In an interview with the Alta [a San Francisco newspaper] Colonel Bee relates what he found: 'Were any of the white men engaged in this butchery Americans? 'asked the reporter. 'Americans!' exclaimed Colonel Bee, as if struck by a thunderbolt. 'Americans! Don't disgrace your country by asking such a question as that. Thank God, no! Most of them were laborers brought from Europe by the Union Pacific company to operate the mines. Cornwall and Wales furnished the major share. Brutes who have lived underground from boyhood were the assassins. Low-browed, square-jawed, ignorant and villainously visaged men, men whom you would fear to meet on a crowded street even if you were armed on both hips. Clubs and rocks aided the murderers, for when they found a wounded and helpless Chinaman, they dashed out his brains with the clubs or crushed in his skull with rocks. While the men were shooting the Chinese and firing cabins, the women were looting the vacated dwellings. There are, I should think about four hundred white men in the settlement. The women are bold and rude, and if a soldier strays away from camp the women stone him and howl at him until he is glad to beat a retreat.' "
Colonel Bee arrived from Wyoming (Personals). Consul Bee returned from Rock Springs, Wyoming. No indictments returned in Wyoming Massacre. Banquet given for Colonel Bee on the day before he left Wyoming. The Crowells hosted euchre party attended by Frank Bee, Barlow Bee and others. Colonel Bee concerned about safety of Chinese in Seattle. Colonel Bee endorsed Huebner's character. Consul Bee was preparing a report about arrivals and departures. Note: John Russell Young (20 November 1840, 17 January 1899) was an American journalist, author, diplomat, and the seventh Librarian of the United States Congress from 1897 to 1899. Colonel Bee indicated the number of Chinese leaving USA was greater than the number entering. Consul-General Ming was presented with a photo album. an Francisco Chronicle (1869-Current File); San Francisco, Calif. [San Francisco, Calif]25 Oct 1885: 5. Colonel Bee was a witness at United States Grand Jury. Albert Bee's widow, S.L. Bee, attended conference. TO: Chinese Consulate Col. Bee, 917 Clay St., S. Fr. Cal Chinese resident of Tacoma forcibly driven out yesterday From two to three hundred Chinese now in Seattle in imminent danger Local authorities will but not strong enough to protect us We ask you to secure protection for us. Chinese Reconciliation Project Foundation The Chinese garden motif allows the park to stand both as an acknowledgment of the forceful expulsion of the Chinese population of the City of Tacoma by municipal leaders and a large crowd on November 3, 1885, and as a celebration of the city's multicultural past, present, and future. Governor of Washington refuted statement made by Colonel Bee. From: "Non-Departmental Letters Received by the Collector, 1867-1912." Records of the Collector of Customs, Collection District of San Francisco, U.S. Custom Service. Record Group 36. Editorial about how Colonel Bee is not a good American. Barlow Bee and A. W. Bee, Jr. also lived in Austin, Nevada in 1864. Children, Yee and Yum, denied entry. Colonel Bee and threats by dynamiters. Note: In 1885, San Francisco newspapers were full of articles about anti-Chinese groups that threatened violence with dynamite. Gen J. Bidwell, the owner of Rancho Chico, near Chico, California, furnishes employment to many Indians, and with wise forethought built a chapel upon his grounds, near his residence, that their families might have the benefit of a school and church. Mrs. Bidwell organized the school in 1875, and taught them herself, and with necessary intermissions it has continued to this time. The men attend when rain or slight indisposition prevent their working. All learn reading, nearly all are taught oral arithmetic and spelling; geography and written arithmetic are also taught. A fine brass band has arisen out of this school, and through an entertainment they were enabled to buy their own instruments. They are taught to sing hymns in an evening school, and one is being taught to play the organ by Mrs. Broyles. From thirty to forty-five attend the Sabbath services. Sometimes Indians come from a neighboring rancheria and thus the benefits of this mission are extended. Because of the partial failure of Mrs. Bidwell's health, this school has been turned over to our Board of Foreign Missions, and $25 a month towards its support. A teacher is employed and is to be classed among our list of schools until the Board makes other disposition of its English-speaking Indian schools.